It’s that time of year again already! Time to start ordering stuff up for yourself or a geeky loved one. Here is a list of some cool stuff to give you ideas. Some of these will also be included in the Black Friday deals so order fast! These are all the rage at the moment and have come along leaps and bounds in the last 2 years. I use the Amazon one at home personally and it is a big hit with the family. My 3-year-old will frequently ask “Lexa” to play Old MacDonald Had A Farm. Very very frequently. This one has a nice new fabric cover and is smaller than the original Echo. Good balance between price and sound quality. This is the cheapest way to try out the Amazon Echo range. Currently on offer at £35 and usually £50. 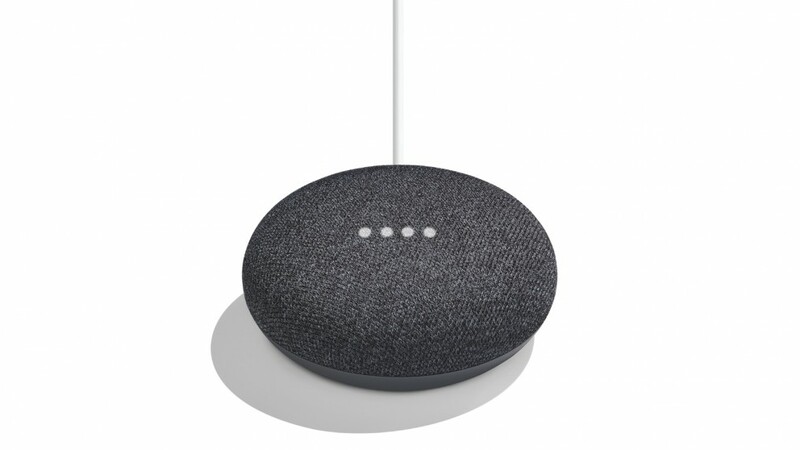 Get this and a TP-Link smart plug for an inexpensive way to dip your toes into home automation. These are on offer at the moment for just £35. If you use a lot of Google products like Gmail etc it is probably the one to go for. And at these prices, you can get one of each and see which works best for you! We use this a lot at home. Great for free 1 day delivery on that last minute “oh crap I forgot its that kid’s birthday this week” moments. And the Amazon Video subscription gives you access to The Grand Tour if that is your thing, and you get access to a reasonably large music streaming selection. I LOVE this service. You just pay $5 a month or $50 a year and they back up your whole computer regardless of data size. 100GB? 5 Terabytes? Doesn’t matter they will back it up. It just runs in the background keeping you safe without you having to ever think about swapping over backup drives. Total peace of mind and worth every penny. SetApp had really taken off this year. You pay $10 a month and it allows you access to their full software library on 2 Macs. I use several of the apps on a regular basis so it is saving me a small fortune and they are adding new apps all the time. Some crackers in there like CleanMyMac, Jump Desktop, Gemini, Forklift and iStat Menus. The best password manager around. $36 a year for a single user or $60 for a 5 user family plan. It is now cross-platform so it will sync all of your passwords and other secure data across Windows, Mac, Android, and iOS. Even Linux is supported now with a browser-based plugin! The combination of this and Touch ID / Face ID on iOS means you can have different, lengthy, secure passwords for every site and still enter them quickly without remembering any more than a single password. Would not be without this app. We use this in work for charging multiple iPads at the same time. Super handy. This toolset has pretty much every screwdriver bit you will need if working on geeky stuff. Even down to the Y-shaped screws on an original GameBoy! 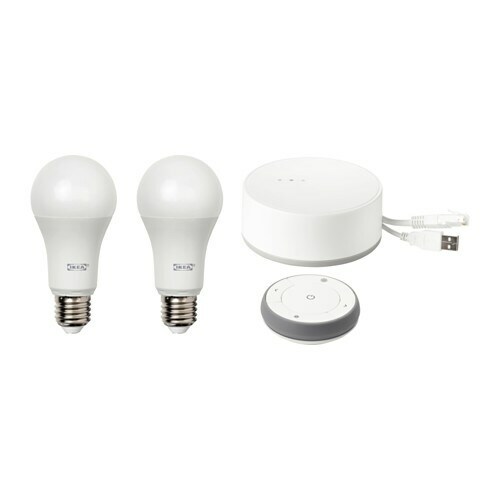 IKEA has introduced a range of smart lights and they have recently updated them to be compatible with HomeKit so you can use Siri to control them. They are significantly cheaper than the main competitors. Sound quality is not going to be as good as wired headphones but I really like these. Good battery life and no more catching the cord on door handles! I think I am incapable of writing a post without reference to a Raspberry Pi! So here it is. Some cool little Pi related gizmos to delight your inner geek. Build a console emulator with this kit. You will be able to play all your old favourites from the MegaDrive (Genesis), NES, SNES, Master System, GameGear, Amiga, Atari… basically any old gaming system you can think of. You can re-live all those fights with your sibling over them being a “one-move Joe” on StreetFighter 2 or cheating by looking at where you were in GoldenEye split screen. Happy times. Also good to show your kids what “proper games” are like back from the good old days. How cute are these little guys?! You can get a range including Batman, Ironman, Superman etc. Class. 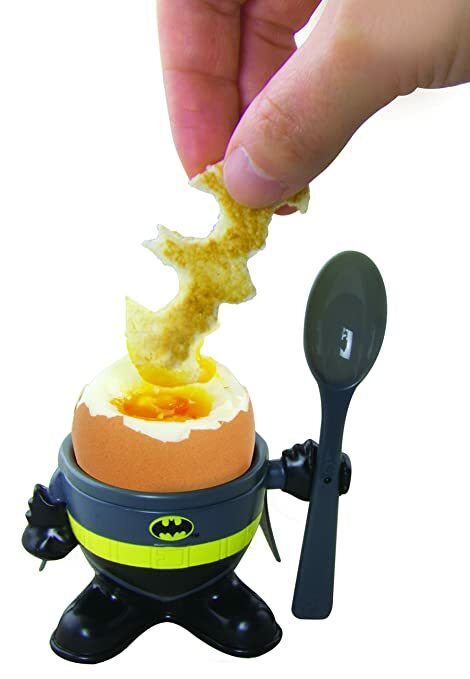 This lets you cut your toast into mini Batarang “soldiers” for dunking. BATARANG TOAST.